Does NOT fit RTV X-series. 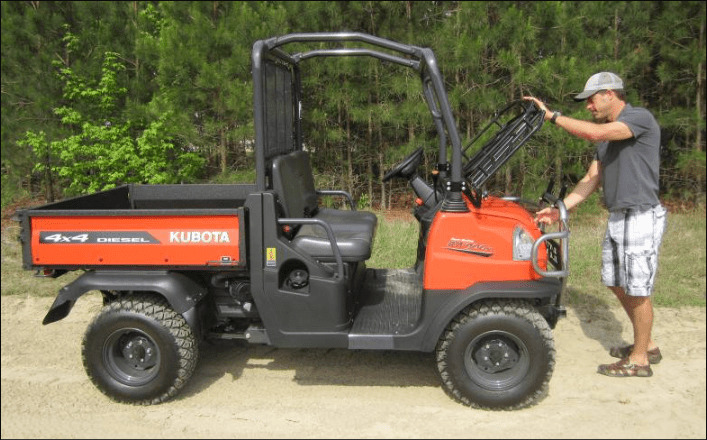 We know sometimes you have more to haul than your bed on your Kubota can hold. 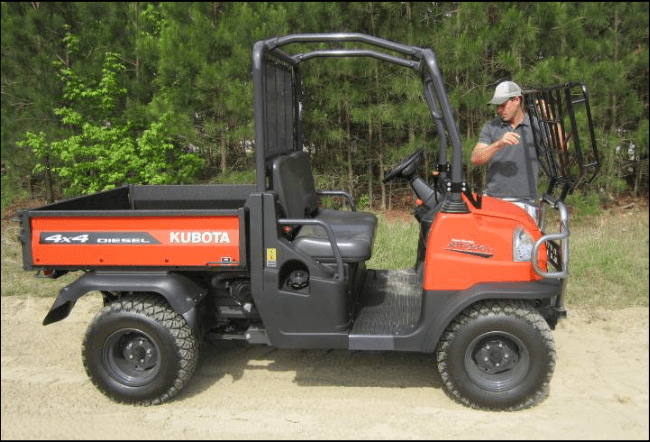 The Utility Hood Rack for Kubota RTV 900 and RTV 1140 will increase your carrying capacity, allowing you to carry those extra tools and supplies that may not fit when you are all loaded down. With full basket rails all the way around to help contain items, the rack's steel construction is built to last. You will find the rack is easy to install and you only have to do it once. 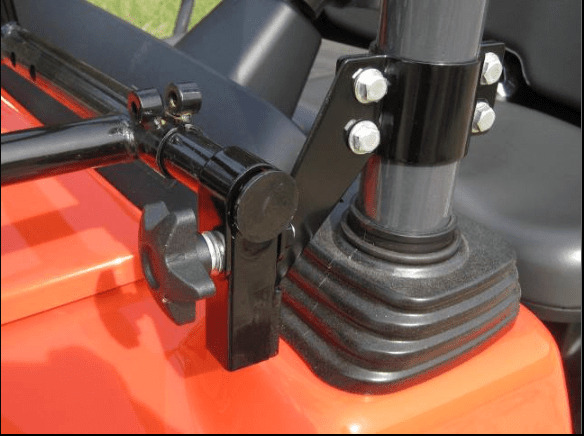 When you need access under the hood of your Kubota, there is an awesome quick release mechanism so the rack can pivot forward and out of the way. 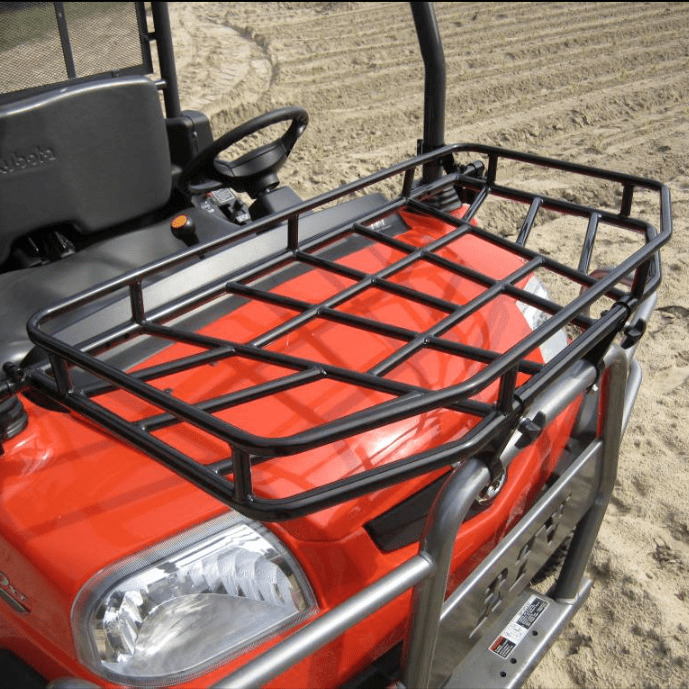 The Seizmik utility hood rack would make a great addition to your Kubota and with all your extra carrying capacity you will wonder how you got by without it! Shared Shipping Program: You pay $4.00 shipping/handling and Side By Side Stuff pays the rest! 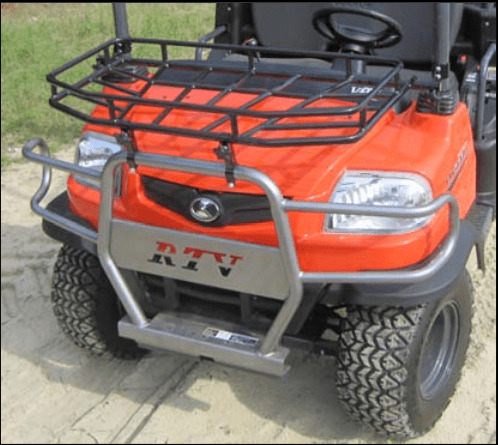 The rack did not fit my RTV900, in spite of assertions that it would. The brush guard on mine was about 1.5 inches farther away from the roll bar than the stock fittings would accommodate. Or so I found out when they finally did arrive after my second call to SBSS, since they were not with the original shipment. No choice but to do an ad hoc modification to make things work. Few extra bucks and an hour or so from me. So if you destroy the damaged shipping container and can't return what can't be fitted, be prepared to do your own modifications. NO, mine was not an RTVX900, but an earlier model. The Rack is nice, well made and easy to install. It also provides that extra storage space your always looking for.